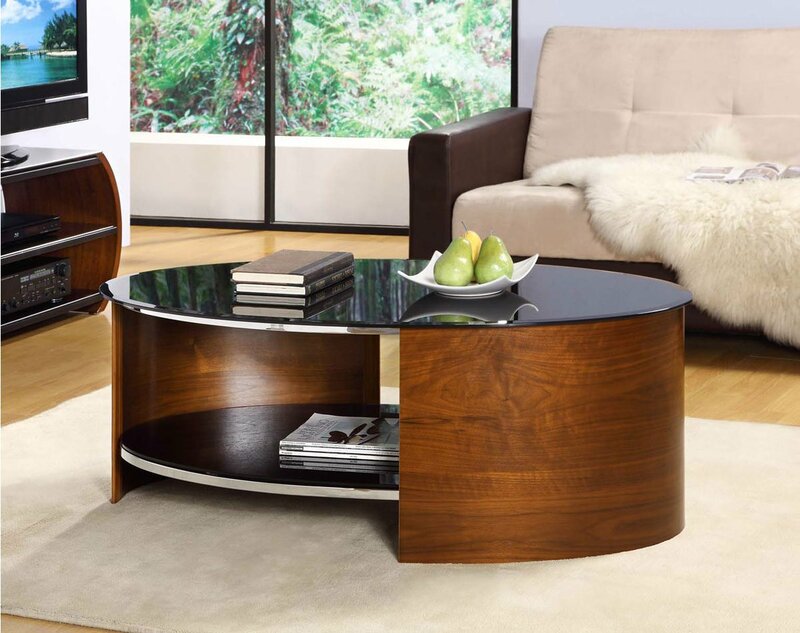 The San Marino Coffee table offers a great blend quality, style and practicality that will transform your living space. Crafted with our unique bent wood and Modern Piano Black Glass, the JF301 will complement the Jual Curve range perfectly. Finished with Real Wood Veneers, this Luxurious table will be the perfect addition to your home. The open space offers a practical storage area for magazines, TV remotes and all your everyday items. With matching Lamp Tables and TV Stands available, this range is sure to complete your desired look. Bedford I'm just a consumer! It is very easy to put together. 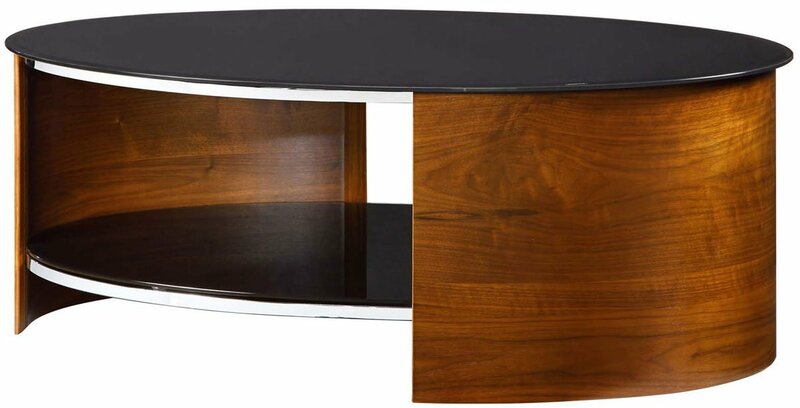 The design is very sleek and stylish and the black glass complements the curved walnut body perfectly. It really is a beautiful piece of furniture! We love the coffee table and can see no bad points whatsoever. Is it hard to assemble, we are not very good at this. Many thanks. No it was extremely easy.